After settling a lawsuit between he and then Citadel Broadcasting last summer, Paul Finebaum has departed Cumulus Sports “Jox 94.5” WJOX-FM Birmingham with the expiration of his contract. OutkickTheCoverage.com is reporting that Finebaum will join Cox’ “97.3 The Zone” WZNN following the expiration of a three month non-compete. According to that report, Finebaum will be joined at WZNN by Ryan Haney, the current Program Director at WJOX who will take the same position at The Zone. 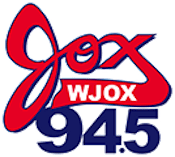 WJOX-FM has moved its midday show “The JOX Roundtable” hosted by Lance Taylor, Jim Dunaway, and Ryan Brown into the 2-6pm timeslot vacated by Finebaum. Finebaum’s program was regionally syndicated to stations throughout the southeast and nationally on SiriusXM. Finebaum had sued Citadel in 2011 for breach of contract claiming that he was forced to sign unfavorable amendment to his contract while the company was in bankruptcy. He attempted to use that lawsuit to attempt to get out of his contract to join WZNN.